Yeastar S300 IP PBX delivers enterprise-class IP telephony services with a base configuration that supports 300 users and can be expandable to 500 users. Yeastar S300 grows with you business and supports up to 24 analog ports, up to 24 BRI ports, up to 3 E1/T1/PRI ports, and up to 6 GSM channels. S300 Supports D30 Module of increasing the Capacity and EX30 PRI Module. Yeastar S300 IP PBX System gives two 10/100/1000 Mbps RJ45 Community ports and three Chasis enlargement card slots.This rack mountable IP Telephone system could be rack mount and include the simple to make use of new Yeastar configuration WEB GUI. Initially, the S300 help 300 customers and could be expandable to 500 customers by including the D30 DSP Card. 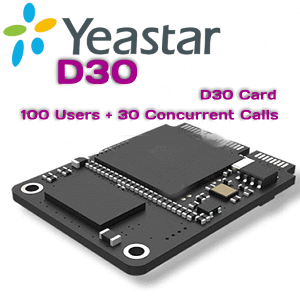 Yeastar S300 grows with you enterprise and helps as much as 24 analog ports, as much as 24 BRI ports, as much as three E1/T1/PRI ports, and as much as 6 GSM channels. My PBX S300 have three chassis enlargement card slots and might use because the modular resolution by your alternative of playing cards.The inbuilt convention bridge could be very useful for a lot of companies. Yeastar S-Collection helps name recording that could be very efficient in case you wish to monitor the enterprise exercise or use it for coaching functions.The GUI Based mostly name recording supplying you with entry nearly anyplace from the world. The identical relevant for inbuilt name element data as properly. 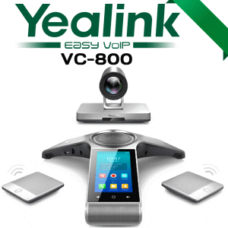 The Yeastar S Collection additionally embrace the options like set the system’s e mail to ship voicemail to e mail, alert occasion emails, fax to e mail, e mail to SMS and SMS to e mail.